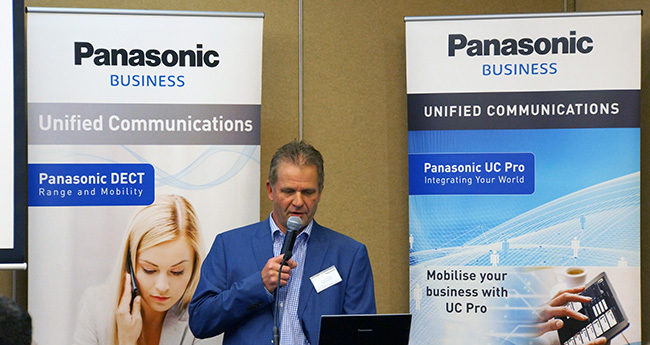 Held throughout June, the 2016 Panasonic Unified Communications (UC) Channel Partner Roadshow saw Panasonic travel Australia with our UC distributor CommsPlus Distribution to launch the latest UC IP-PBX and SIP products to over 100 UC channel partners, in combination with a comprehensive go-to-market strategy which will provide partners with a range of training programs to support their daily sales activities. Partners were introduced to a new range of Panasonic products, which focused on the increased mobility that small to medium businesses seek, as well as new solutions for the enterprise sector. Panasonic’s award-winning KX-NS700 smart hybrid communication platform remained a large focus of the roadshow, given its popularity with small businesses wanting to gain more mobility and to take advantage of the NBN, and new NS700 promotional packs were unveiled and officially launched into the Australian market. Already a leader in business telephone systems, Panasonic is now moving into the enterprise market, so throughout the roadshow we introduced channel partners to our new pure IP NSX business communications server solution that allows us to cost-effectively address the mid-sized to large businesses with multiple branches and locations.